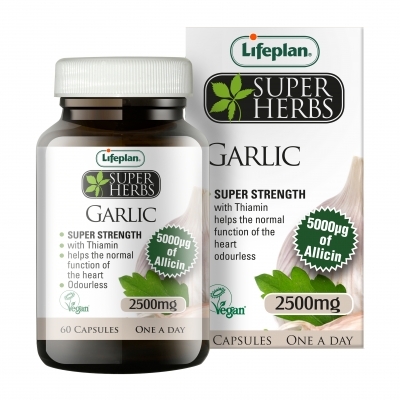 This product contains a super strength standardised extract of garlic with a high level of the active constituent Allicin. Specially prepared to leave no after taste or odour and enhanced with Thiamin (B1). Thiamin contributes to the normal function of the heart. 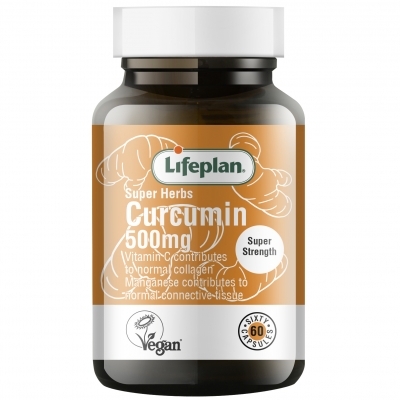 These capsules provide a high level of curcuminoids (curcumin), the active constituent in Turmeric. Enriched with Vitamin C and Manganese this supplement contributes to normal collagen formation for the normal function of cartilage and the normal formation of connective tissue. Further enhanced with Piperine the active constituent of black pepper to help absorption of Turmeric. have been added to your basket.